This week, we continue Parish Pride month by venturing further into the county of Cornwall, with Westmoreland, Hanover, St James and Trelawny. Around five per cent of the parish, or 10,000-12,000 acres, make up a large freshwater wetland called the Great Morass. The Morass and much of the land around it are protected under the Negril Area Environmental Protection Trust. The Frome Sugar Estate, the largest in the parish, was the site of the 1938 Labour Riots. The riots, which spread to many parts of the island, led to many major changes in the political development of the island. Most important of these changes was the advent universal adult suffrage in 1944. Parish capital Savanna-la-Mar, founded in 1730, has been inundated three times during hurricanes. In 1780 “the sea rose and left two ships and a schooner stranded among trees,” and in 1912 the schooner Lationia ended up in the middle of town. 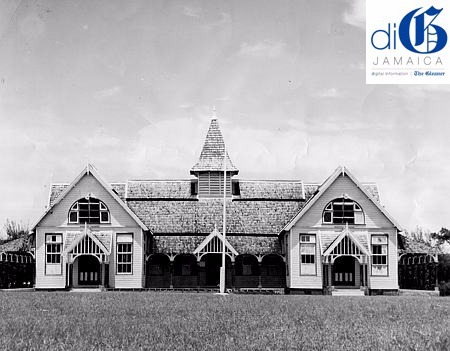 Jamaica National Building Society was originally the Westmoreland Building Society, founded in 1888 by Rev Henry Clarke, as part of his campaign to assist the “small man.” In 1971 it merged with other rural building societies to form Jamaica National. Formed in 1723 out of parts of Westmoreland and St James, the parish was named November 12, 1793. It was named for the British monarch George I, who was from the House of Hanover in Germany. The famous Lucea clock is said to have been intended as a gift from Germany to the people of St Lucia in the eastern Caribbean. However, the captain of the ship confused both places and it ended up in Hanover, where the townspeople refused to give it up. The still fully functional Lucea clock tower was built in 1817 and stands in the town center near the courthouse. 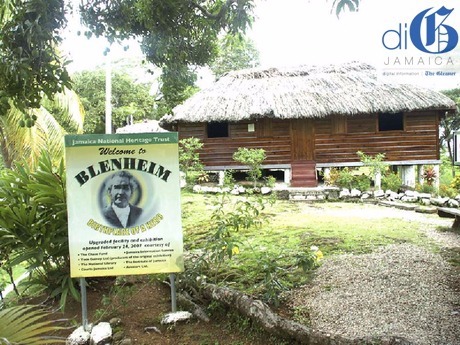 This small, hilly rural district of Blenheim is the birthplace of National Hero, Sir Alexander Bustamante. Blenheim is believed to be named after Blenheim Palace in Oxfordshire, England, the birthplace of Sir Winston Churchill. Henry Morgan, the notorious pirate and later Lieutenant Governor of the island, sheltered in Lucea Harbour and later acquired 4,000 acres of property in the area.